Many courses exist to help you understand hedge fund strategies, portfolio management, trading techniques etc. But what they don’t cover is how a hedge fund actually works. 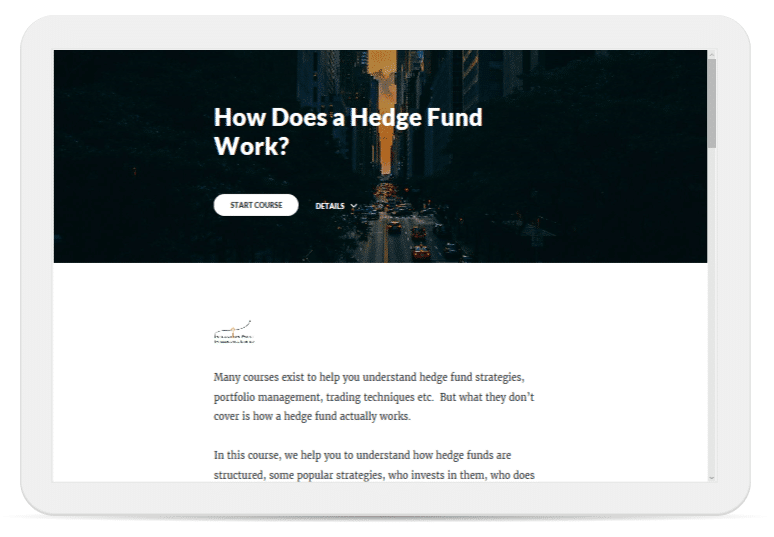 In this course, we help you to understand how hedge funds are structured, some popular strategies, who invests in them, who does what both internally and externally, technology aspects of running a fund, and lastly, what can go wrong. The course will give you insights into the infrastructure, functions and roles in a fund and its interaction with its service providers. The estimated completion time is 90 minutes including 40 minutes of videos. Upon successful completion of the course, you will receive a Certificate of Completion from Inflection Point Intelligence. 2 reviews for How Does a Hedge Fund Really Work? Very nice online course! Thank you. 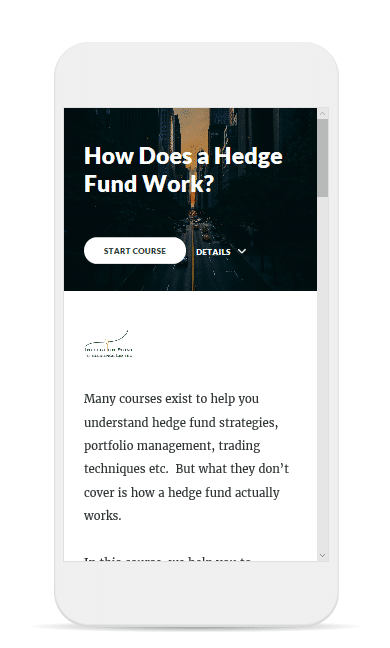 It is a fantastic online short course for a quick start if you are interested in hedge fund and even good for financial executives to enhance their knowledge. Hopefully to join the full course soon.